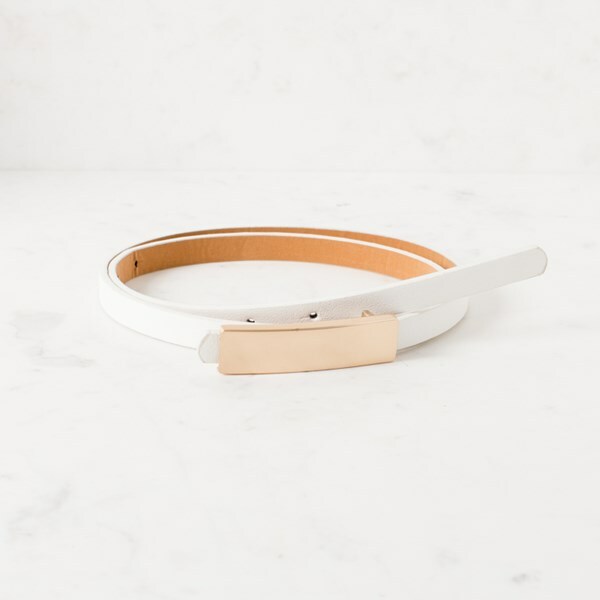 This easy to wear Ava buckle belt is crafted from a soft white vegan leather. Featuring gold-tone hardware, this belt will pair effortlessly with any outfit. Vegan Leather, Frosted Gold Plated Metal.